Issued by the Australian Securities and Investment Commission (ASIC), Australian Credit License’s ensure that those that are successful in being granted a license can only operate within strict guidelines as set out in the National Consumer Credit Protection Act 2009. 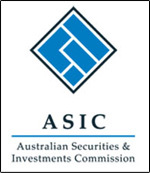 For further information relating licensing or the National Consumer Credit Protection Act, please visit the ASIC website. The MFAA is Australia’s peak body for finance professionals and credit advisors, positioning them as the professionals of choice for both Consumers and Regulators. For further information please visit the MFAA website. The Credit Ombudsman Service provides consumers and financial service providers an accessible, independent and fair dispute resolution service. For further information please visit the COSL website.